Ever had that pump of adrenaline get you moving and motivated during a monumental event in your life? 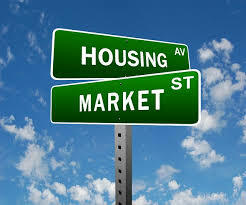 That is where our local housing market is at the moment. Last year was a very robust year of sales and activity. 2017 is predicted to offer the same momentum. Here is a bit of what happened in 2016 and what to possibly expect in the coming months. Market Will Remain A Sellers. Housing inventory has been low since 2015. The absorption rate dropped to 1.56 months of inventory in January 2016. With overall home construction remaining relatively slow, and sellers not releasing enough homes for sale to soak up demand, buyers will continue to find slim pickings when it comes to selection. 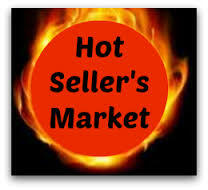 Sellers who price homes correctly will receive close to, if not their full asking price. Days On The Market Will Accelerate. Average days on the market presently stands at 94 days, however as fewer homes remain on the market we will likely see nice and well priced ones move even more quickly. Buyers: be prepared with a loan pre-approval. Don’t go looking without one. The home you love and see today may be a goner tomorrow! Single Family Home Sales Will Remain Above Average. 2016 was an amazing year for the number of homes sold. An average of 37 homes per month brings us back to the BRAC heyday of 2015-2016. Renters are now seeing the benefits of home ownership, and there is a steady stream of people moving into the valley. Price Per Square Foot Values Will Continue To Rise. As demand gets stronger so does home values. Higher appraisals are a reflection of that rise. All areas of Ridgecrest have seen values slowly move up since 2013, particularly in College Heights and Ridgecrest Heights. Homes Sold At List Price or Above. In October 2015, 65% of homes received their full asking price or more. 8 months later, in June 2016, that number grew to 77%. Sellers with homes in excellent condition, and set at a true market price, are seeing their homes slowly rise in value. Median Home Price. Ridgecrest continues to remain one of the least expensive housing markets in California. At $176,000, this brings a comfortable affordability and attractive quality to the area. The less spend on housing needs means more expendable income in the pockets of local home owners. Ridgecrest is riding on a strong plateau at the moment. Prices will hold steady and buyers will continue to need patience. Connect with a top realtor to discover how the rising market can be of benefit to you. 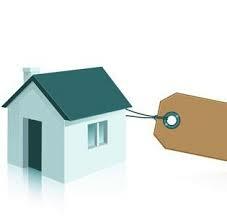 Need more info about the local housing market? Give me a call, Clint Freeman at (760) 382-1082 and let's talk more about the market and the value of your home!